This article was written by Georgina Dorr, published on 23rd March 2015 and has been read 3595 times. Georgina Dorr studies French, Spanish and Portuguese at the University of Exeter. 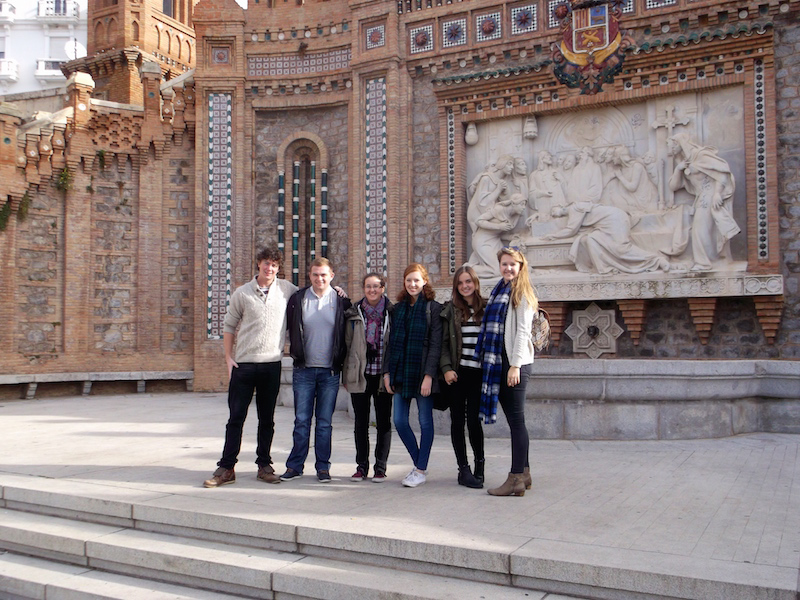 She is spending her year abroad as a British Council language assistant in Huesca, Aragón, which is - of course - in Spain! Here is her guide to this lesser known Spanish region! If you&apos;d like to read more about life as a language assistant in España, have a read of Georgina&apos;s blog. I know what you’re thinking, that’s that guy from The Lord of the Rings, right? Well change the spelling a little and you’ve got the North East region of Spain. Before I moved here a little over six months ago I knew absolutely nothing of the region, but have since fallen in love with Spain’s hidden gem. Aragón is divided into three provinces, all of which are named after their main city – Zaragoza, Huesca and Teruel. 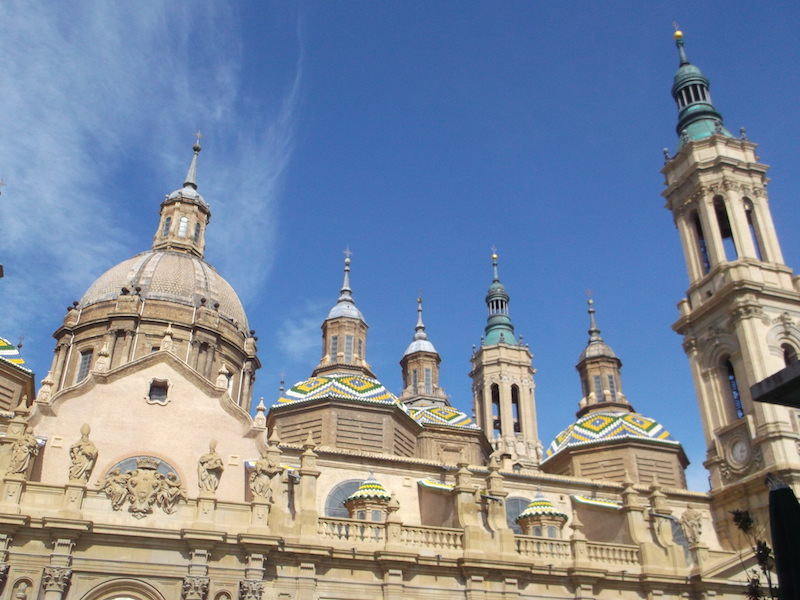 So I’ll start with Spain’s fifth largest city – Zaragoza. As far as large cities go, Zaragoza feels like the perfect size; large enough to be exciting and busy, yet small enough that you don’t feel overwhelmed, like you can do in larger cities such as Madrid and Barcelona. As you probably know, Spain loves its fiestas and does them incredibly well, so it shouldn’t come as a surprise that Zaragoza’s main festival of ‘El Pilar’ in October is absolute madness but something not to be missed. My current home! Although not somewhere I originally would have chosen to spend my Year Abroad, I’ve really grown fond of this tiny little city. If you’re after a big bustling city, I’d recommend commuting from Zaragoza (a 50 minute bus journey for €7.80) but I’ve really enjoyed the sense of community of living in Huesca. I can count the English speakers I know on one hand so it’s amazing for speaking Spanish. Everyone’s also really friendly and I rarely go anywhere without bumping into someone I know, which can be comforting when you’re away from home. The best part of Huesca is not actually the city, but the surrounding areas – the medieval town of Jaca, Ordessa National Park, the deserted Castle of Montearagón, Castillo Loarre (the setting of the Orlando Bloom film Kingdom of Heavens) and of course, its proximity to the Pyrenees! Skiing certainly isn’t the first thing that comes to your mind about Spain, but the resorts of Formigal, Cerler and Panticosa are definitely ones to check out if you’re a keen skier. Most famously known as Spain’s smallest city, Teruel has so much to offer – boasting UNESCO World Heritage Sites for the Mudejár Architecture, its famous Jamón de Teruel and also Los Amantes de Teruel (Spain’s Romeo and Juliet). You can even visit the mausoleum and see the tombs of the lovers. Spooky stuff. Teruel is often known as Spain’s forgotten city but when I visited, I thought the architecture was stunning, and I had the best meal I’ve had in Spain. Unless you’re willing to drive through France for hours and hours, the easiest way to get to Aragón is to fly. RyanAir fly to Zaragoza Airport from London Stansted really cheaply. If Stansted isn’t convenient for you, Madrid, Valencia and Barcelona airports are all doable. Zaragoza is equidistant between Madrid and Barcelona, around 4 hours driving or less than 2 hours on the High Speed Train. If you’re a keen traveller, pretty much everywhere in Spain is within reach from Aragón. I’ve travelled most weekends and have visited everywhere from Barcelona, Valencia, Seville to Madrid and many more. 1. English speakers are hard to come by in Aragón, so definitely consider teaching private lessons. Some weeks I can earn up to €100 extra a week from my private lessons, which are mostly playing games and singing songs with children, so it doesn’t even feel like work at all. I know everyone says this but I’d really recommend it. I found my flat on Idealista before I arrived (but didn’t sign anything until I’d seen it myself) and live with the two loveliest Spanish girls who have become my closest friends here in Huesca. I’ve been to stay in their village and you gain invaluable insight into Spanish culture, and it helps your language too. 3. It&apos;s fine if you&apos;re gluten free! Randomly, Huesca has the highest amount of coeliacs in Spain, so being one myself I have really lucked out. Every restaurant caters for coeliacs, lactose intolerance and vegetarians, which isn’t always the case throughout Spain. I’d definitely recommend ‘comomelocomo’ for the best food in Huesca. Zaragoza is on the High Speed Train route, meaning Madrid, Barcelona, Malága and Seville are all reachable within 3 hours, which is crazy considering how geographically far away they are. The University of Zaragoza has campuses in all three cities, meaning that there will be students around and the opportunity to join in on Erasmus Nights Out and meet lots of new people. (And a cheaper gym membership – win win situation). The Spanish spoken in Aragón is one of the purest in Spain, with no strong regional accent or dialect. 7. Clothes-wise, make sure you pack for hot summers and freezing cold winters. 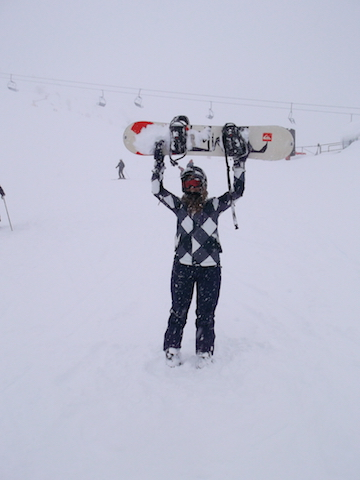 Ski clothes are definitely useful and be prepared that Zaragoza is really windy, so a warm jacket is a must. With it being the only region to have mountain ranges, deserts, metropolitan cities and green National Parks, it really does have everything. Without a doubt, Aragón is Spain’s hidden gem.